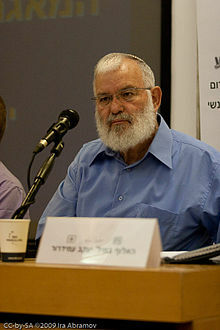 General Yaacov Amidror was the chief of Israel’s National Security Council (NSC) under Netanyahu. He resigned last year from the post, due to conflict of interest. According to Haaretz, ” he has been considered among the prime minister’s closest confidants”. This is why I always read his articles. The fact that his latest article was published at the Bar Ilan University’s Begin Sadat Centre site gave it even more importance. In my opinion, the writings of this centre also reflect current thinking in the Netanyahu government . I highly recommend his article “We have to be prepared“. And the ticking sound you hear is that of the countdown timer until the next war. The reason? in the article you do not find any diplomatic or political recommendations. The same applies to Netanyahu and his way of dealing with the Israel – Palestine conflict.